Just like us, our structures need maintenance and remodeling services to keep up its aesthetic value. 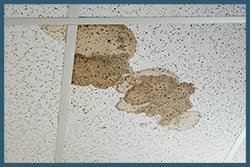 Natural disasters, years of wear and tear, fire accidents, water damage or just poor maintenance can slowly chip years away from your home or office. 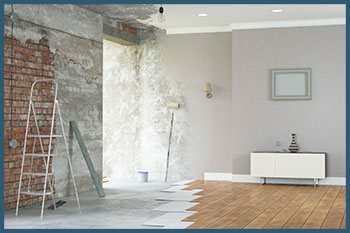 Rather than living in an unkempt home, why not speak to our experts at Miami Gardens Emergency Restorationto help you with broad spectrum of reconstruction and remodeling services? If you think getting your house remodeled is an expensive affair, you need to talk to our experts today for affordable estimates and get the custom look you’ve always wanted! If you recently suffered from mold infestation, then your walls are probably already begging for your attention. Fire accidents too can lead to a lot of damage. 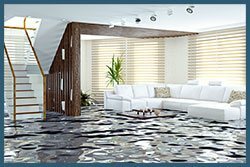 Regardless of what your restoration issues may be, Miami Gardens Emergency Restoration always has an expert solution handy. We have a team of construction experts who can rebuild and restore your property to make it just like before. If the damage is severe, our experts can even perform complete reconstruction of the entire section or structure. We work with extremely proficient contractors who are expert in flooring, interior/exterior, framing, roofing etc. If we can handle structural modifications, we can also redecorate your interiors. It’s our end-to-end services that make us one of the most sought after service providers in Miami Gardens, FL. You don't have to seek remodeling service only after a debilitating accident! You may be looking to change your home to suit the modern architecture or just looking to revamp your property. No matter what you want from your property, our professionals will be able to deliver the results. We urge you to hire us as your remodeling contractors as we can really do wonders with your property. Discuss your budget and requirements with our experts at 786-350-3360 and let us come up with a perfect solution. The most important step is to understand the client requirements and come up with a solution that suits their requirements and budget. It is our job to work closely with you in development of the perfect plan that will fit perfectly with your needs. We not only help you with the rudimentary phase of requirement analysis, but also create a plan that will give shape to your idea. Our experts put the theory on paper and show you what your idea will look like. 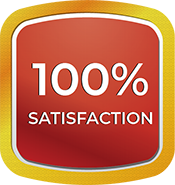 We will only proceed once you are happy with the results! Once you are sold on the idea, our professionals will work up an estimate that will bring your proposed idea to life. Miami Gardens Emergency Restoration believes in keeping its transactions transparent. This is why we will give you an all-inclusive quote that will show exactly what you are paying for. There will be no surprise charges or rude shocks in the end. Let our experts get to work and help you realize your dream of a modern home! Change is good and it is welcome from time to time. If you are looking to give your home or business premises in Miami Gardens, FL an overhaul, then talk to us at 786-350-3360 and discuss your requirements with our remodeling experts.